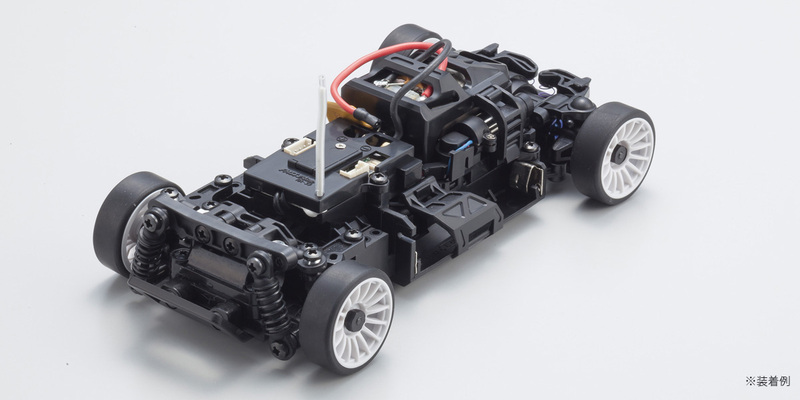 To make the MR-03 Readyset even more user-friendly and appealing to more drivers, Kyosho introduces the completely new front wheel drive chassis design in the first FWD chassis of the MINI-Z series! Widely popular body styles in highly detailed body sets create the incredibly realistic MINI-Z FWD series lineup. 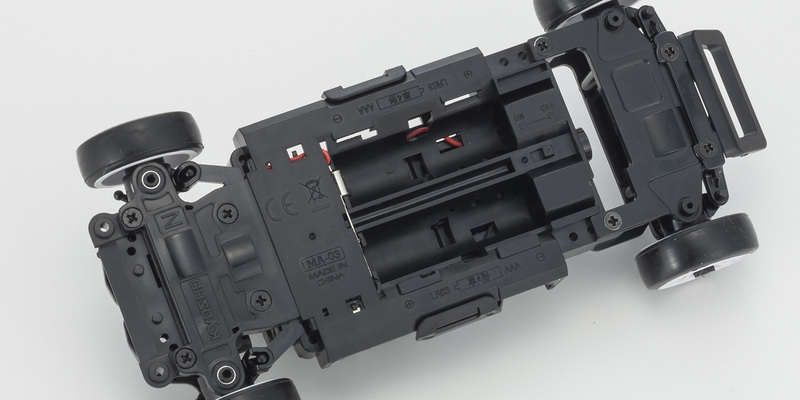 A newly developed transmitter delivers precise control from the optimal weight balance of the new chassis design that incorporates the proven reliability and durability of the AWD’s drive train and suspension, as well as the servo from the MR-03. 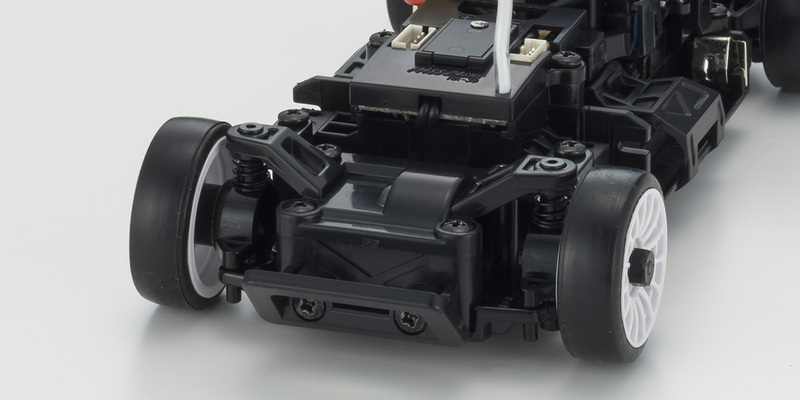 In addition to the inherent straight line stability and easy steering control of front wheel drive, linear handling from the new control program on the newly designed circuit board can be further enhanced for even easier control characteristics by installing the optional gyro unit (MZW431). 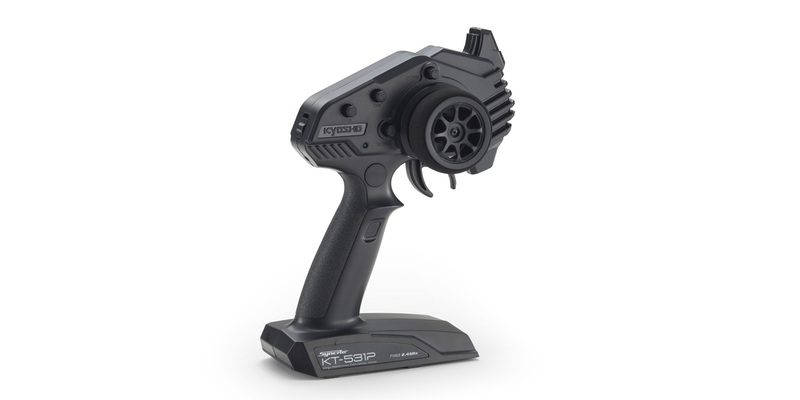 Including the latest Syncro KT-531P transmitter with steering trim, throttle trim, dual rate, LED control function, and sponge steering wheel for comfort fit, the car has a control feeling that loses nothing to rear wheel drive MINI-Z racers. The new MINI-Z FWD presents a new way to enjoy the performance and style only the MINI-Z can deliver! 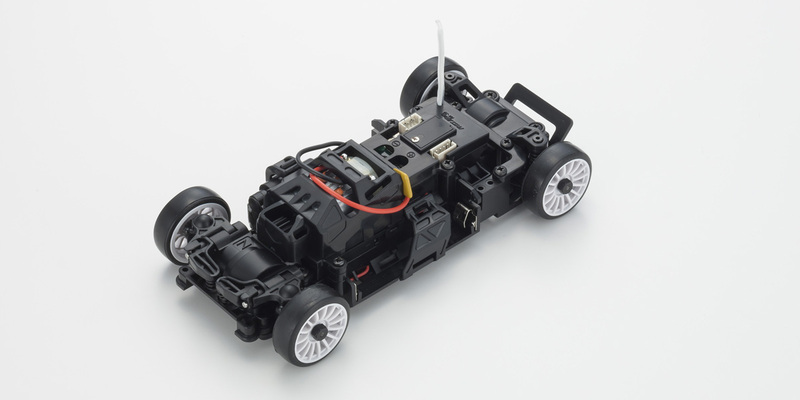 ●First MINI-Z Racer chassis with front wheel drive positions the motor behind the front axle in a front midship layout. ●Newly developed Syncro KT-531P transmitter provides full range of setting adjustments. ●Full ball bearing specifications include 12 bearings. 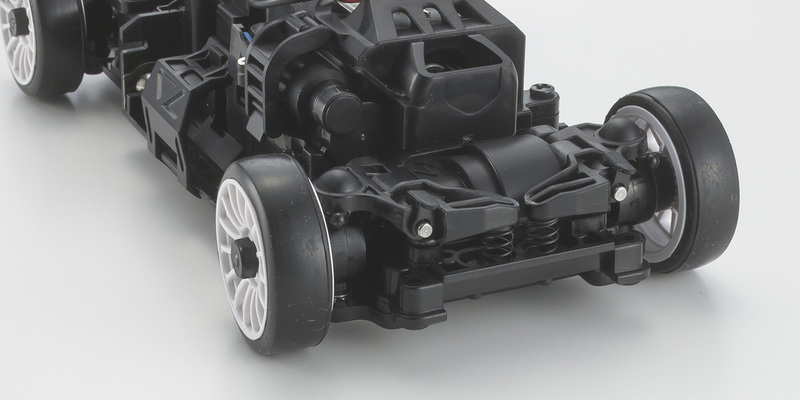 ●Wheelbase can be set to M(90mm), L(94mm) and LL(98mm). Developed as the ultimate FF sports machine, the FK8 Civic Type R recorded the fastest time on Nürburgring circuit (Germany) in May 2017. Advanced exterior aerodynamics has been realistically captured in MINI-Z size. Newly designed servo unit produces linear steering characteristics. 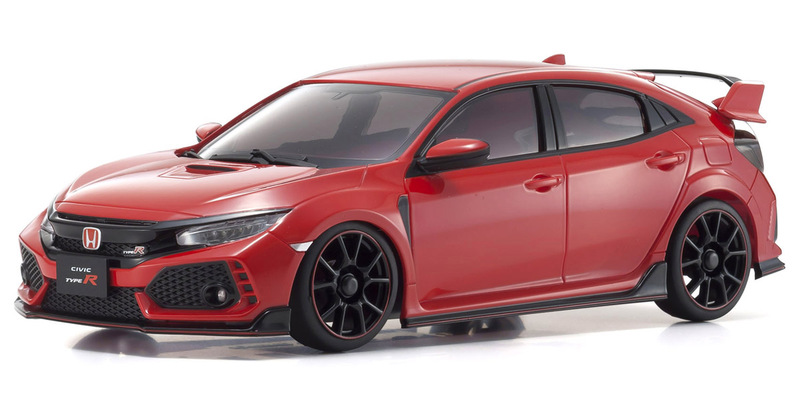 Incorporates proven AWD drive train that can also be equipped with the existing AWD ball diff. Rear suspension also adopts the strut unit from the AWD Sports. Not only maintenance-friendly, the existing toe control rod and camber knuckle can also be used. Compatible with huge lineup of optional parts for MINI-Z AWD that allows you to improve your machine according to your skill level and budget.